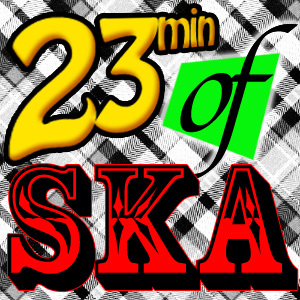 I know I usually try to concentrate on playing all of ya’ll new ska, but yeah, this is a load of, well, older stuff. Much of it is music that I can’t believe I missed to be honest! Also, traditionally, this is the least downloaded/listened to podcast of the year. Maybe there’s something else going on that keeps people busy on a Thursday, who knows. Anyway, if you’re here, thanks! You are the best and keep this little podcast afloat! This episode and all episodes can always be found here. You can also subscribe to the podcast by going to your advanced tab on iTunes, then select “subscribe to podcast…” and entering this address: http://23minofska.podomatic.com/rss2.xml into the box that opens. Also if you’d like, find & like us on facebook. As a special gift to you, I offer this download. Ruder Than You’s song “Uncle Albert” was featured in the episode “Meanies” from March 23rd, 2010 and their song “On a String” was featured in the episode “Roof Access” from July 23rd, 2011. This episode and all episodes can always be found here. You can also subscribe to the podcast by going to your advanced tab on iTunes, then select “subscribe to podcast…” and entering this address: http://23minofska.podomatic.com/rss2.xml into the box that opens. You can also download the episode! Also if you’d like, find & like us on facebook. Woo! 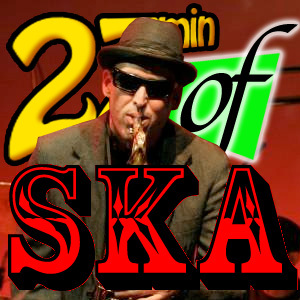 More ska, and it is some of the meanest, rudest ska around this time for you. Or maybe not. I could’ve went more crass, but that didn’t turn out to be nearly as much fun as I thought it would, so much for a “theme episode”. If there’s a theme at all, I think it would be that a lot of these bands never really got their “due” as it were, in fact I think only the Suicide Machines did. I think the Blue Meanies were close and of course the Hub City Stompers, Amphetameanies and Johnny Nine & the Racers still have a chance if anyone would pay attention to how good they are. Sorely missed are Secret Society who are all but forgotten but always put on a hell of a show, and their album isn’t even bootlegged on dozens of websites like a lot of their other late 90s contemporaries. If you’re in a ska band and would like to be featured or if you know some music that you think I should hear for future inclusion, please email me! You can also subscribe to the podcast by going to your advanced tab on iTunes, then select “subscribe to podcast…” and entering this: http://23minofska.podomatic.com/rss2.xml into the box that opens. Alternately, you can even download it.